Dr. Brad Gorski takes a whole-body approach to weight loss, considering hormone imbalances, toxins, nutrient deficiencies, and underlying health problems that may prevent you from losing weight. If you’re ready to lose weight and finally keep it off, contact Elite Family Chiropractic in Charleston, South Carolina, for a personalized, comprehensive weight management plan. "Everyone here genuinely cares about not only your health, but you as a person." "Everyone here is wonderful and I have quality of life already! Thank you all." "Dr Gorski's knowledge of nutrition and chiropractic care is outstanding." "Amazing results after first visit." "I have made amazing progress in improving the curvature of my neck and spine." Why can you do everything right and still gain weight? The vast majority of people who work hard to drop excess weight will encounter the frustrating cycle of losing and then regaining pounds. Even when you follow a diet and get regular exercise, you can face the same cycle because your body is influenced by hormones that direct fat burning and storage. Leptin is the hormone responsible for fat burning. When your body doesn’t respond properly to leptin, you won’t lose weight, or you won’t be able to keep it off. Leptin resistance commonly develops when you gain weight, then it’s further aggravated by the impact dietary toxins have on hormones, creating overall resistance to weight loss. Dr. Gorski gives you an advantage by testing your levels of hormones and toxins. Once he has your complete biochemical profile, he develops an individualized nutrition and detox plan that gets your hormones back in balance and helps you meet and maintain your weight loss goals. How does a personalized nutrition plan developed by Dr. Gorski help you lose weight? A nutrition plan designed to stick with daily calorie goals is one of the most important weight loss tools — and Dr. Gorski will help with that — but he also takes a deeper look at your nutritional needs. It’s important to be sure you have sufficient amounts of the nutrients needed to produce energy and support a fat-burning metabolism. Lack of vitamins and minerals may impact leptin and contribute to weight gain. On the flip side, being overweight often leads to nutrient deficiencies. For these reasons, Dr. Gorski uses advanced testing that detects micronutrient deficiencies on the cellular level. After obtaining your personal nutrient profile, he develops a plan that’s customized to treat deficiencies using supplements, herbs, and nutrition. What other weight loss services are available at Elite Family Chiropractic? Dr. Gorski believes in a whole-body perspective, so after exploring your medical history and performing a thorough physical examination, he will consider other health problems that can affect your weight, such as adrenal fatigue, digestive disorders, and thyroid disease. Evaluating your thyroid health is especially important because you can have an underactive thyroid in spite of normal blood tests. Dr. Gorski may recommend genetic testing to help personalize your weight loss plan. Each person’s genetic makeup affects how they process foods, use nutrients, respond to exercise, and burn energy. With today’s technology, a simple saliva or blood test can be used to evaluate your genes and learn about your genetic tendencies. For example, DNA testing can reveal whether you have a tendency toward low adiponectin, the hormone that triggers fat burning, or whether you’re susceptible to a nutrient deficiency. All of the genetic information obtained is used to create a lifestyle plan that helps you lose weight and live a healthy life. "It is easy to feel the passion Dr. Brad has for helping families get well and stay well as you walk through the doors of Elite Family Chiropractic." "Not only do they check my spine, but they also helped with all my nutrition and toxicity issues. I can't thank them enough for all they've done for me and my family." 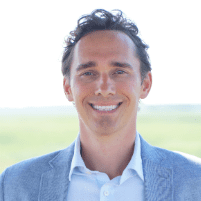 "Not only is Dr. Brad a great chiropractor, but knowledgeable in nutrition, fitness and detoxification, and will lead you in making the appropriate changes in your life." "I've been a patient of Dr. Brad Gorski's at Elite Family Chiropractic for almost a year now, I've never been healthier, no more pain and a much better quality of life!" "Dr. Gorski goes above and beyond answering all of my questions and coaches me and encourages me along the way. Thank you for this life changing experience!"